The economic expert, Al-Amin safe haven, a move by the Central Bank to put quantities of local currency that meet the needs of the market and citizen, calling for the need to encourage the use of the card (Key Card) to reduce the damage of cash. The secretary said in a statement quoted by the newspaper "time" and viewed by "economy News", "The local currency has passed on the issuance of more than a decade, causing damage to large quantities of them as a result of trading among citizens over the past years and this is contrary to what is in other countries, Damaged every five years. " 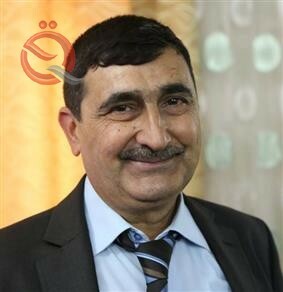 He pointed out that "the bank's positive step to meet the need of the market and the citizen, despite the delay because the small local currencies have become scarce and most of them damaged," and the Secretary said that "strengthening the currency and the Iraqi dinar at the present time, where some countries are experiencing economic deterioration leads to the recovery of Iraq's economy and the bank need attention For this sensitive issue. " "Unfortunately, Iraq is still lagging behind in the use of electronic financial cards in transactions such as the card and others that contain the bank account of the person and through which to shop from any party, so those concerned encourage the use of these cards to keep the currency from damage." The bank plans to launch large amounts of local currency in small groups next month.